The GTX 1080 comes out May 27 at an RRP of $599, and performs much faster and much more efficiently than the current "best-in-slot" card: the Titan. The cost of entry to PC gaming gets cheaper and cheaper every single year, something that console manufacturers are no-doubt losing sleep over! Nvidia is continuing that trend with the revelation of it's GTX 1080 graphics card - a card that can do crazy stuff like run Doom at 200 FPS and won't cost you a downpayment on your house. 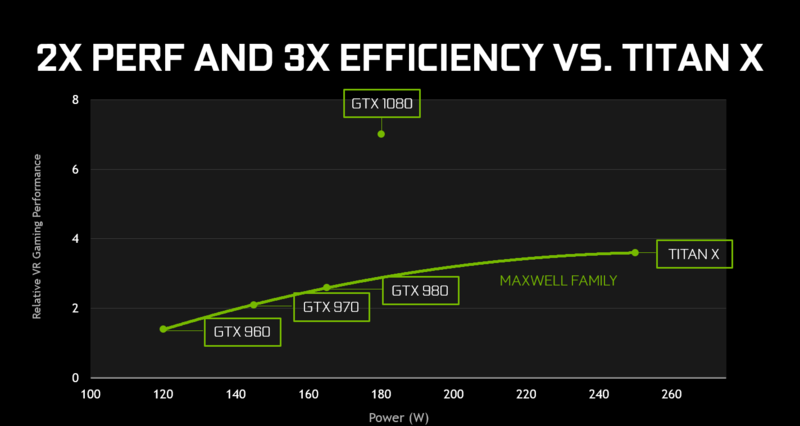 To put that into perspective, Nvidia claims that the 1080 is faster than two GTX 980 cards running together. Releasing a little after the 1080 on June 10 will be its "little brother": the 1070, which Nvidia says offers Titan-level performance for just $350. Yes, that's right, to obtain the same level of graphics fidelity you used to have to spend $1,000 on, you can now get with a $350 card.